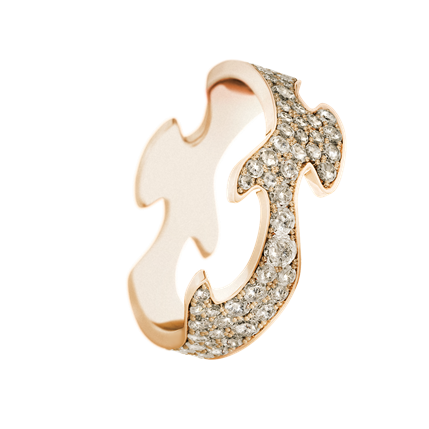 Georg Jensen rings are the epitome of style and sophistication. No matter whether you’re looking for something understated and elegant or a real statement ring that will help you stand out from the crowd, Georg Jensen pieces are the perfect finishing touch to your outfit. 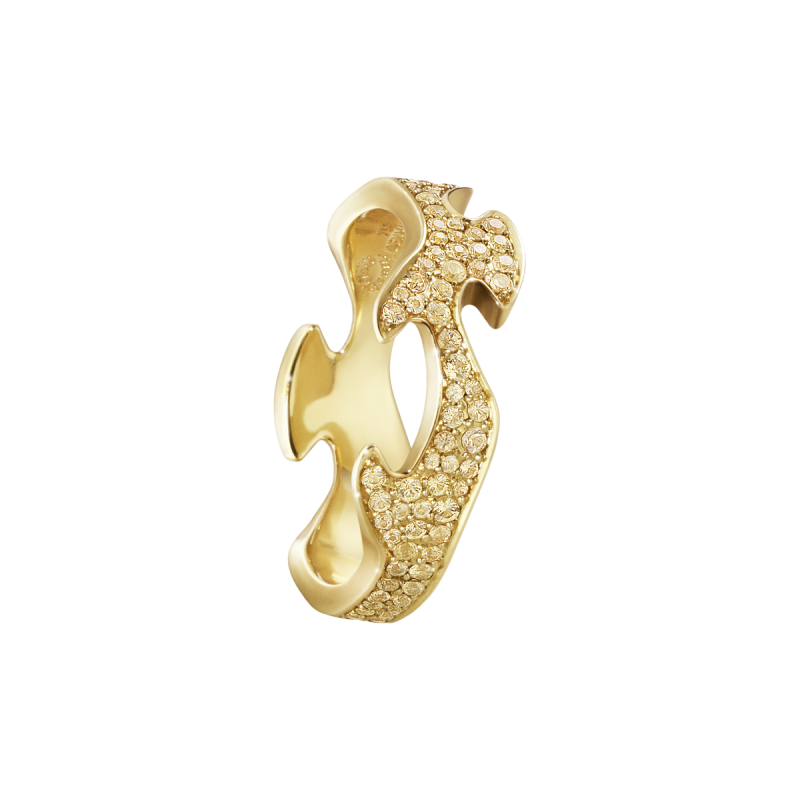 Whilst Georg Jensen are completely unique in their style and design, they also use a slightly different sizing method. Although it doesn’t follow the traditional UK lettering system, it is very easy to grasp and you should be able to identify your perfect Jensen size in no time. Simply measure your chosen ring finger and discover your size in millimetres. This will give you your UK letter sizing. Then use the guide below to discover your Georg Jensen size. But if you want the true experience, why not visit our flagship store on King Street in Manchester? 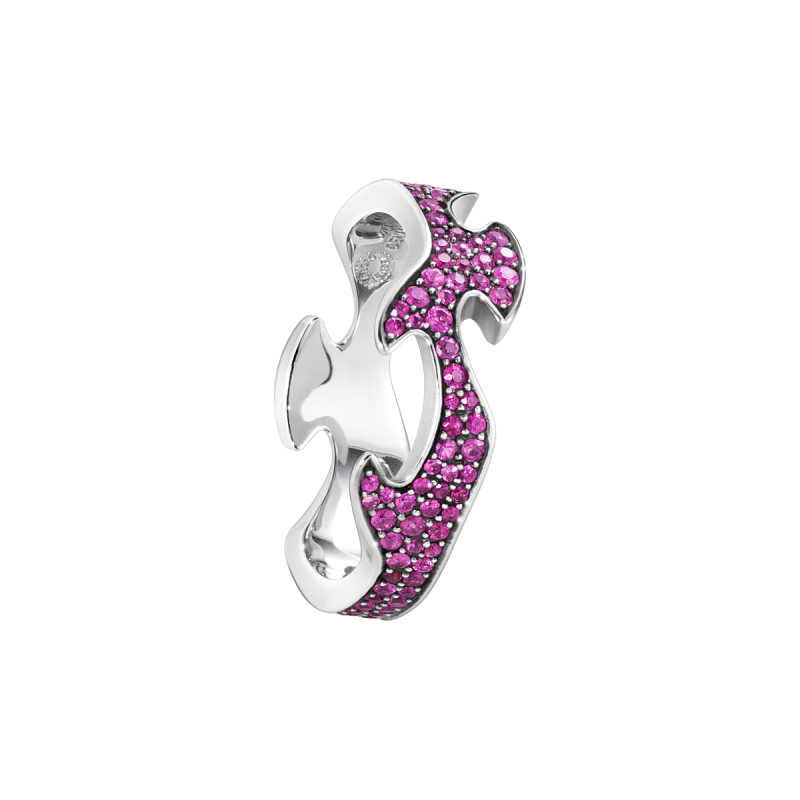 Our jewellery experts can help you find your exact size, and the perfect style to suit you. 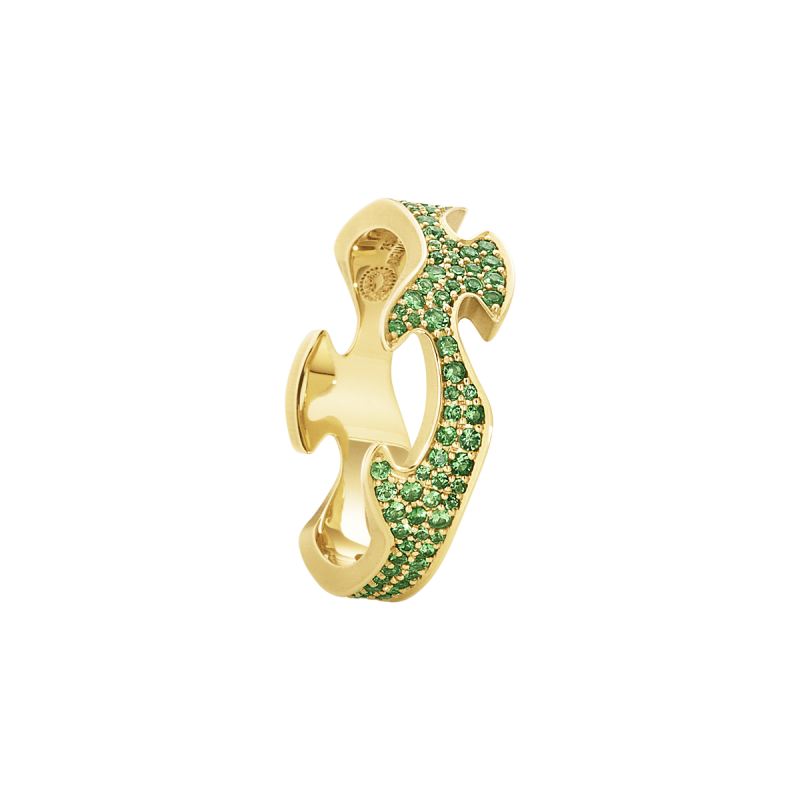 Sensationally striking this Georg Jensen Fusion centre ring is made of glowing 18 carat yellow gold and fully pave’ set with lush green tsavorites ensuring the wearer a look that is completely unique. Tsavorite is a stone of expression, success, strength, and compassion. It is often found to be very uplifting.